Prime Minister Narendra Modi said on Tuesday that the Netherlands is a natural partner in India’s economic development and thanked the key European nation for backing India’s Missile Technology Control Regime membership. “The world is inter-dependant and inter-connected. 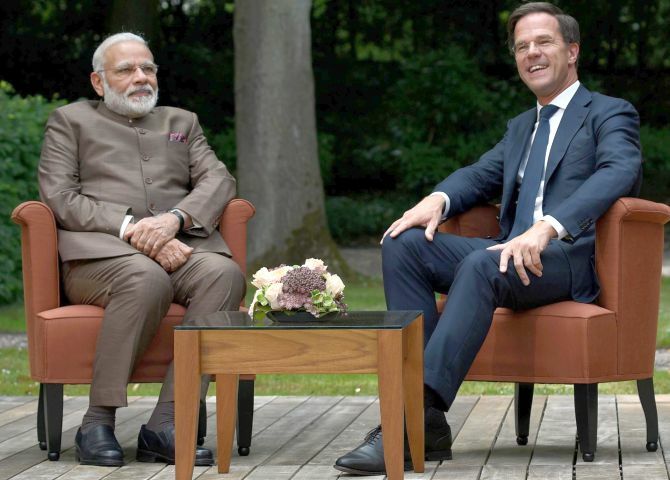 We would discuss both bilateral issues and those concerning the world,” Prime Minister Modi said ahead of talks with his Dutch counterpart Mark Rutte. The aim of the MTCR is to restrict the proliferation of missiles, complete rocket systems, unmanned air vehicles and related technology for those systems capable of carrying a 500 kilogramme payload for at least 300 kilometres, as well as systems intended for the delivery of weapons of mass destruction. “Political because of the values we share with respect of rule of laws and security,” he said. He commended India for its commitment to renewal energy and to the Paris climate agreement. He praised Modi for announcing major sustainable initiatives like ‘Clean India’ and ‘Make in India’. 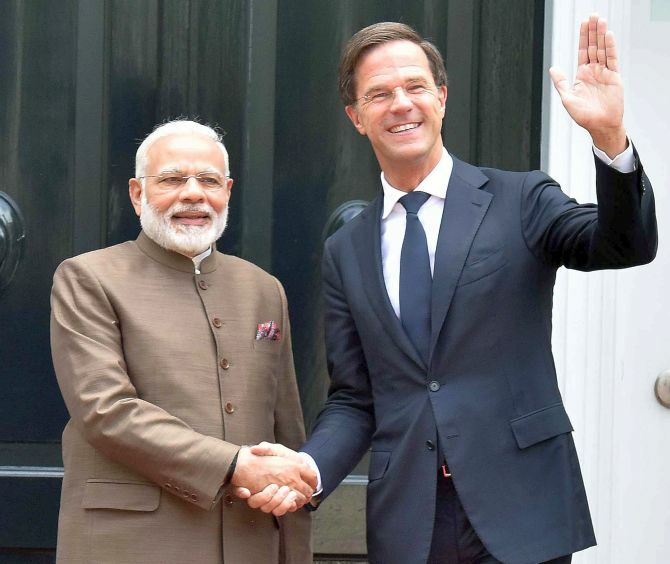 “The Netherlands is a key partner to help India achieve its goals,” he said. “India is now a global economic power. It is the world’s second biggest economy and Indian market has a lot of potential. We have a plenty to offer to India too,” he said. 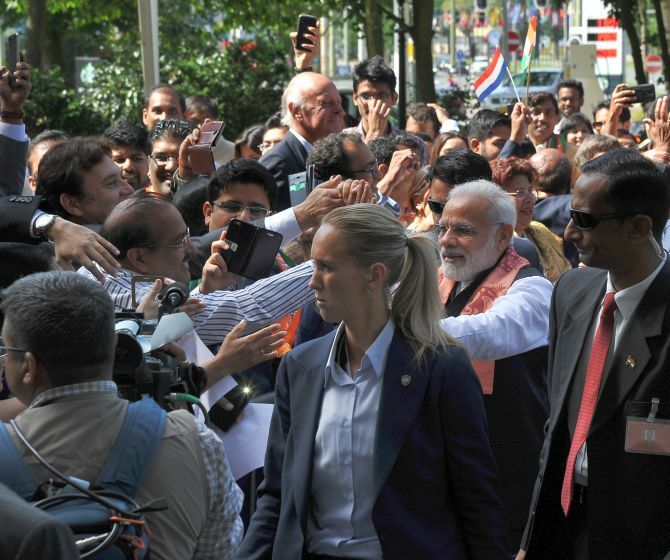 IMAGE: Modi being warmly welcomed by the people, on his arrival, at Amsterdam, Netherlands. The Dutch premier said the ties are only expected to grow in coming years. “Today we are giving fresh impetus to ties by easing the flow of capital in both directions. I believe this is one of the many ways to boost ties in the next 70 years and beyond,” he said.